Because spine surgery can be complicated, some patients can still experience pain after back or spine surgery. This is referred to as failed back syndrome, and generally occurs because the lesion that was operated on is not the actual source of the patient’s pain. 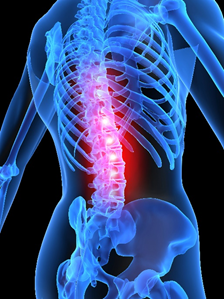 At The Spine Center, Doctor Saqib Siddiqui provides minimally invasive methods to deliver fast pain relief and recovery for patients with failed back syndrome. Failed back syndrome (or failed back surgery syndrome — FBSS) is a condition in which patients have an unsuccessful result with back or spine surgery, or who have experienced continued pain after spine surgery. Spine surgery is only able to change anatomy, to specifically fix an anatomical lesion. The top cause of failed back surgeries is that the lesion operated on was not in fact the source of pain. Some types of surgery are more effective at alleviating pain than others. Therefore it’s best to stick to operations that have a high success rate and to make sure that lesions in the back are correctly identified before surgery. To ensure you are suffering from failed back syndrome and not pain and discomfort from another spinal condition, it is important to schedule a consultation with Dr. Siddiqui at The Spine Center. Pain after surgery should not go unaddressed. If you’re suffering from failed back syndrome, or think you may be, get treatment immediately. Call (954) 916-7062 or contact us online to set up an appointment.